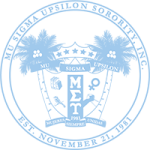 STATEMENT: Mu Sigma Upsilon Sorority, Inc. 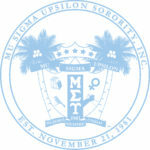 Position on White House Executive Order | Mu Sigma Upsilon Sorority, Inc.
New Brunswick, NJ – The constitution begins “We the People of the United States, in order to form a more perfect union, establish justice, insure domestic tranquility, provide for the common defense, promote the general welfare, and secure the blessings of liberty to ourselves and our posterity, do ordain and establish this Constitution for the United States of America”. As sisters of Mu Sigma Upsilon, we recognize that this is an idealistic but very attainable possibility for our country. Though there are imminent threats to our national security that does not give the current administration the right to discriminate against people that went through due process to come to this great nation solely based on their religious affiliation. We firmly admonish the executive order suspending the entry of individuals from certain countries into the United States and the stance that the White House has taken against immigrants and refugees hailing from Syria, Iraq, Iran, Yemen, Libya, Somalia, and Sudan. Unfortunately, many of the citizens of these predominantly Muslim nations have been forced to leave their homelands because of the substantial tolls that war, violence, and crumbling infrastructure have taken on their lives. In times of fear and uncertainty, we must recall one of the most important principles this country was founded on: freedom. Inscribed upon a plaque associated with one of our country’s most prized symbols of freedom is the quote “Give me your tired, your poor, your huddled masses yearning to breathe free” reminding us that we must not turn a blind eye to those in need, but lend aid in whatever way we can. Such a ban impinges upon our sisterhood’s most upheld values; multiculturalism and unity amongst all women. We commend many of our sisters as they have already taken it upon themselves to exercise their right to assemble and have participated in solidarity marches, unity rallies, community forums an many other forms of both protest and efforts to organize resources for those affected. As the first multicultural sorority in the nation, we refuse to be divided by hate and prejudice. As an organization, we stand with our fellow Muslim Americans as well as refugees seeking their right of asylum. We need not agree from a political standpoint; however we must remain united in the battle for human rights. 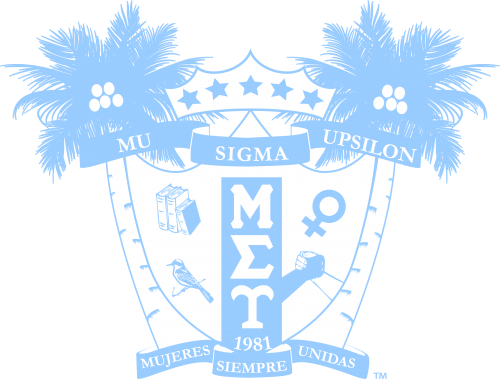 Mu Sigma Upsilon Sorority, Incorporated was founded on November 21, 1981, at Rutgers University, New Brunswick, as the first Multicultural sorority associated with the National Multicultural Greek Council. 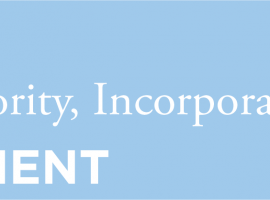 It is a non-profit Greek letter organization of college-educated women committed to academics, unification of all women and the services for their communities and universities.